Labels and label protectors are important to keep your facility safe, organized, and efficient. Efficient workplaces use visual cues and visually informative devices. 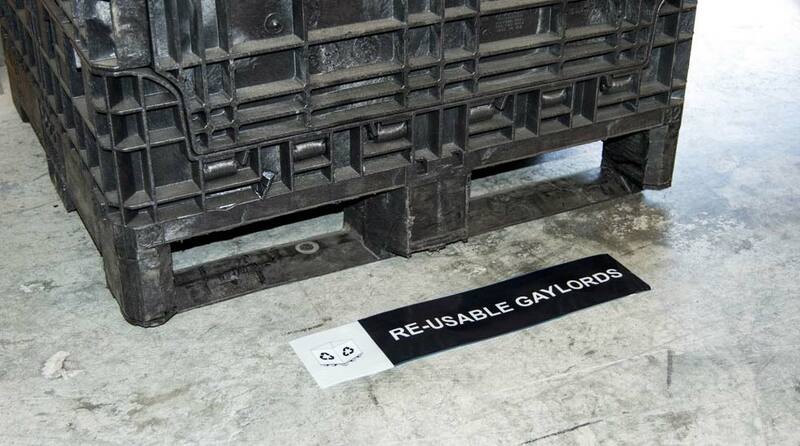 For many workplaces, this involves the use of labels. 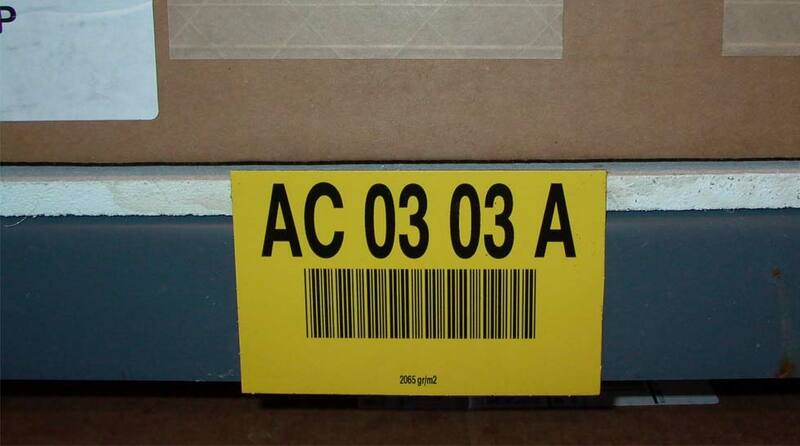 Labels can be used to offer safety guidance, inventory control and directional information. Warehouse facilities, plants and distribution centers may use a variety of labels to keep their workflow running smoothly. Some of the places you may use labels include inventory shelves, on floors, in freezers and on actual products. The two most popular labels we offer are our Superior Mark™ tape clear protector labels and our Superior Mark™ tape custom cut labels. Both labels are made from our unique designed and patented Superior Mark™ floor tape that offers a beveled edge to resist scraping and a recessed adhesive which offers optimum durability. Clear Protector labels are useful to protect existing labels. 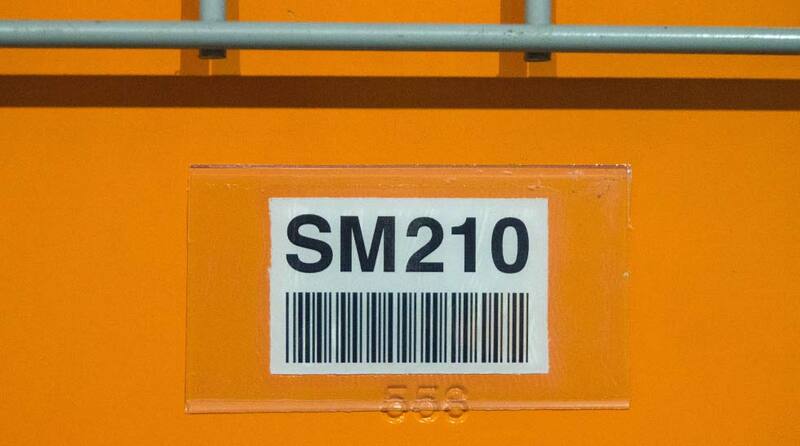 In a warehouse setting, there typically is industrial traffic, which can damage labels. Our clear protective labels help keep rubbing and scraping from damaging existing labels and keep efficiency and productivity high. Our Superior Mark™ tape cut labels offer the most durable adhesive labels on the market. Our patented design offers more durability against forklift traffic and other industrial equipment. Our Superior Mark™ tape labels come in a variety of colors and we can custom print these labels for you with graphics or messaging. 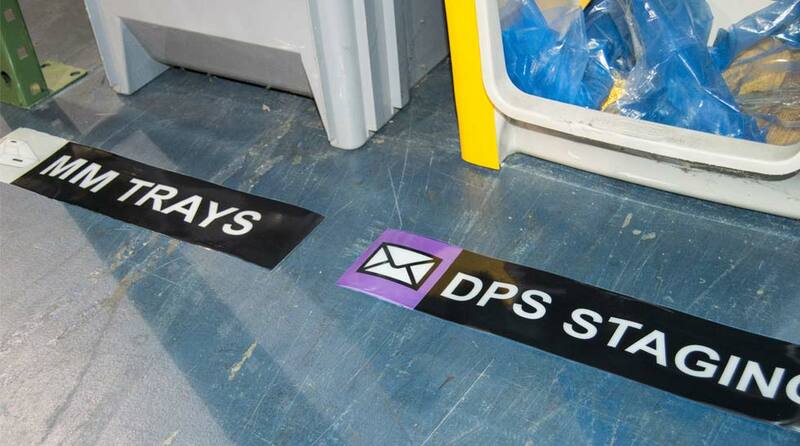 These labels are great for floor locations – you won’t find a label that resists being scraped and run over as long as ours does. Defend your labels! Our clear protector labels offer a solution to floor labels that keep getting scraped up, rubbed off or damaged. The beveled edges and recessed adhesive make our label protectors the most durable on the market. See our video to see how easy they are to apply. Our Superior Mark™ labels are the most durable you’ll find. Made with our patented beveled edge and recessed adhesive, our labels resist scraping and industrial equipment wear and tear, better than competitors. We offer clear protective labels and custom printed labels. See our gallery to view a small sample of what we offer.